This is interesting ransom. It is written in fasm 1.7 and this make it something special. Usually ransomware are Delphi applications which are written by people with no programming skills. This one is different. It still simple compared to famous trojans, but there are some features which are making it special. It has three stage startup. On a first stage it registers window class "SetupFrameClass" creates window called "Setup" and waits few milliseconds. After wnd_procedure (see @004012D0) assumes control, it calls specially prepared code (see @004013A0) responsible for second stage and further trojan installation. <--- it is ransom itself (copy file routine also take place in this stage). Ransom (code running inside svchost.exe) ensures that wLockDesktop is current active desktop by doing periodical switching to it. This was made to defeat sysinternals desktops and similar tools. Decrypted and working dropper in attach. Password "infected" without quotes. Switching to different desktop set in the infinite loop with a very small delay. Winlock window hierarhy (diffent run, that why different PID). Used embedded IE window to display HTML based content. Payload requested in encrypted container, special marker appended to the beginning of request string - "55565755". Decrypts into %temp% folder and then executes by ransom from embedded full screen IE window. 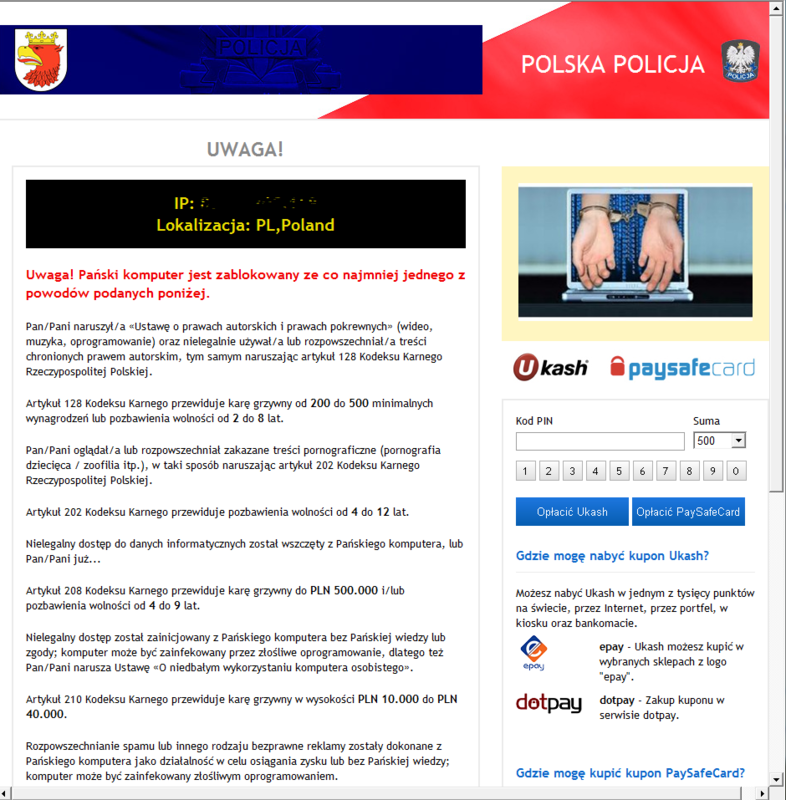 Ransom page + all graphics/css in attach. mysql.php return "could not find driver" rest are standard HTTP 200/Length 0, probably need parameters.